Last Monday (November 3rd) I was at the grand opening of the John Roan School in Blackheath (the school lies in the ward I represented as a councillor until May 2014, and I used to be a governor there). Despite the big crowd of local dignitaries like me, old boys (including the sports presenter Steve Rider, newsreader Asad Ahmed, and the 91-year-old Alan Weir), and a former Labour Education Secretary, Baroness Estelle Morris, the mood at the opening was relaxed and friendly. Guests heard performances of dance and music – including a moving rendition of Copland’s Fanfare for the Common Man – much better than what you normally hear in secondary schools. Roan’s notoriously poky Westcombe Park Road building, a brick shed fatally compromised by ILEA budget cuts at the time it was built in the early 1980s, has been demolished and replaced by an airy new structure by John McAslan and Partners, with a huge new gym and a central atrium flooded with natural light. Around the corner on Maze Hill, John Roan’s listed 1928 building by Sir Banister Fletcher has been well restored and extended by McAslans (good architects who also designed the nearby Thomas Tallis School, whose new buildings opened in October 2011), with help from Kirkwood McLean Architects. Grotty portacabins have been swept away, and new courtyards created, on either side of the Main Hall, whose wooden floor is about to be relaid. 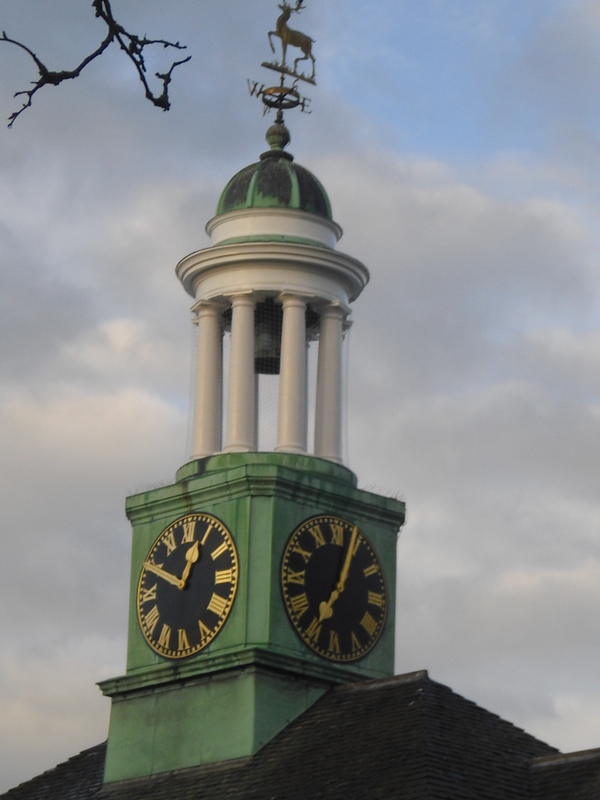 The clocktower is being refurbished and its clocks reactivated for the first time in decades, and the memorial garden of trees planted to commemorate old boys who died in World War Two is about to restored. John Roan is being brought into the 21st century with a respectful nod to its long history – the school was founded as grammar school in 1677. But the mood wasn’t triumphant. Although the new buildings are impressive they have taken a full 15 years from conception to birth – surely a record, even amongst notoriously slow Private Finance Initiative projects. Far from being one of the last local authorities to benefit from New Labour’s Building Schools for the Future (BSF) programme Greenwich (along with Bradford, Bristol, Lewisham, Sheffield and Southwark) was one of the first “Pathfinder” authorities to be offered PFI credits with which to rebuild schools at the end of the nineties. I still remember the evening way back in 1999 when I was asked to meet the council’s then director of education, George Gyte, in his offices at Riverside House in Woolwich. I was told that John Roan, which had crumbling buildings and mediocre exam results, was to be relocated either half a mile away to the site of Greenwich District hospital (a hulking concrete monstrosity which was about to shut down), or a mile away to a site on the Greenwich Peninsula, with a new school building confidently forecast to open in 2005 or 2006. 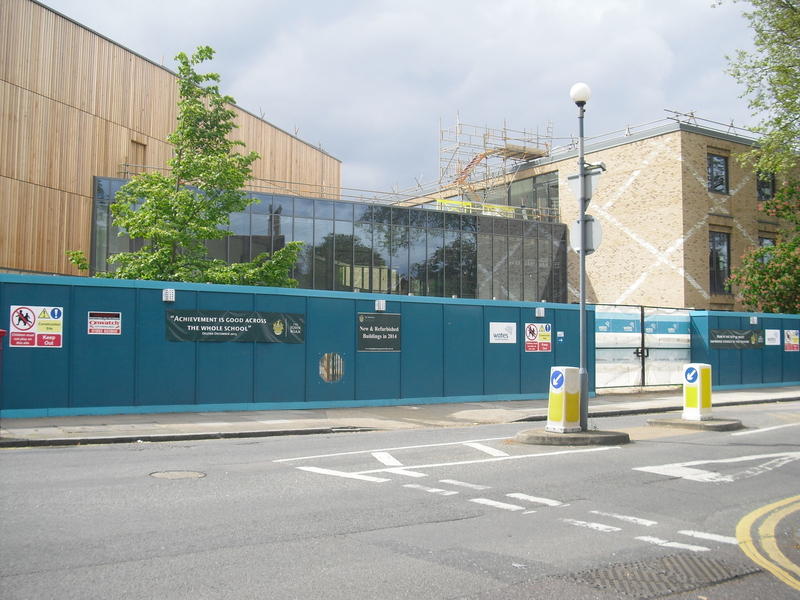 But for more than a decade the Building Schools for the Future in Greenwich – or the lack of it – turned out to be a major headache for parents, school staff, students, local MPs and councillors like me (the two schools most beset by delays, John Roan and Thomas Tallis, sat at either end of the ward I represented). John Roan was rebuilt a full nine years later than first promised. Why? There were, from the very start, several problems with the proposal to relocate John Roan. Firstly there was a lot of nostalgia – particularly among the school’s charitable Foundation, dominated by former pupils – for the school’s current sites. A second problem was that the new Peninsula site was smaller (undermining the argument that Roan’s relocation was necessary because its current buildings were cramped), close to both a gasholder and the A102 motorway, and surrounded by undeveloped and recently decontaminated land. Releasing John Roan’s current sites, in a leafy part of Blackheath, for residential development was financially attractive to the council (even though one of them was owned by the John Roan Foundation, not the council) but a complete no-no for most Roan parents. A third problem was scepticism about the council’s pupil projections. 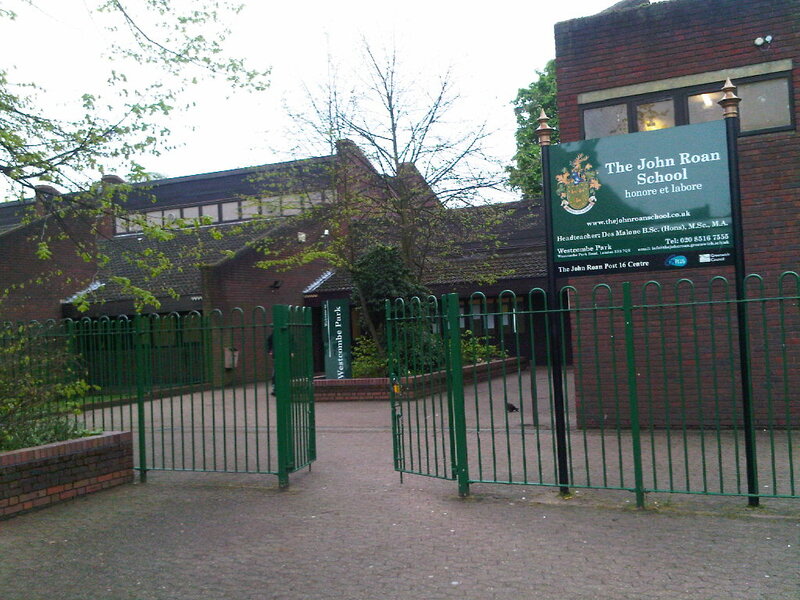 The council predicted – wrongly, it later turned out – that there would not be a big increase in demand for secondary places in the noughties, so a new secondary school on the Peninsula should be a relocated and expanded John Roan, not a completely new institution. 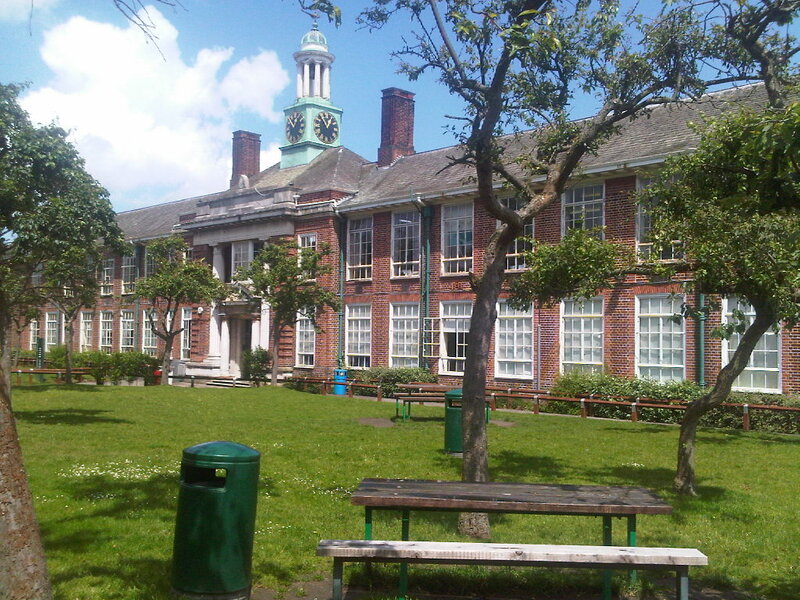 Parents in Greenwich and Blackheath – who recalled the closure of a local primary school, Annandale, followed soon after by a shortage of places and the rushed expansion of other local schools – were unconvinced, and feared that if John Roan moved a mile north to the Peninsula it would be increasingly difficult for their children to obtain places there. In the event there was a long delay before a planning application for a new building on the Peninsula was even lodged in 2007. This long wait did not dilute the opposition but to be fair it wasn’t just the council’s fault: the huge fire at the Buncefield oil depot in Hertfordshire in 2005 prompted the Health and Safety Executive to tighten their rules, in effect placing a blanket moratorium on new developments within a designated “blast zone” around gasholders. This meant no work on Roan’s new building on the Peninsula could start until either the HSE changed their minds again, or the gasholder was decommissioned – neither of which could happen quickly. 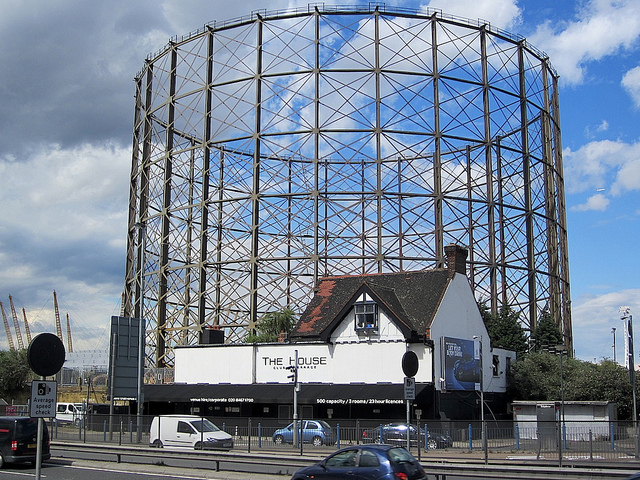 Ironically, the gasholder had not been a big bugbear for opponents of relocation before (they were more concerned about the site’s perceived bleakness and proximity to the busy A102 motorway), but once the HSE had issued its ruling the gasholder became yet another nail in the coffin of the council’s relocation plans. But chronic delays hit many other schools in Greenwich, not just Roan. Much of the blame rests with the council leadership’s never-ending quest for a “Greenwich Model” of PFI – one that would allow the council itself to set up a not-for-profit “strategic partner” to rebuild its schools. The superficially attractive theory was that schools would be rebuilt more quickly and affordably, with less profits flowing to the private sector. But in reality wrangling over the “Greenwich Model” only lead to years of delays, and ultimately a fudge that was just as costly and complex as a bog-standard PFI deal: it took four years before Greenwich finally obtained PFI credits (to “secure” the rebuilding of its five Pathfinder schools) in spring 2003 and another eight years before the first schools were completed. In 2003 the council was still promising that John Roan could be rebuilt by September 2006, but frustratingly it could not say where: both the Hospital and Peninsula sites were still on the cards. “A swift resolution to the current uncertainty is crucial,” I opined in a report back to Labour Party members at the time – a Yes Minister phrase that translates as “Get a bloody move on”. Constant changes of council personnel, perceptions of arrogance, senior officers and councillors ducking awkward meetings with schools and sending underlings instead, information being withheld or only drip-fed, deadlines being constantly missed, all meant that opposition to the plans to relocate John Roan only grew. In 2004 the council decided on the Peninsula and predicted the building would be finished by 2008; in 2006, the council said that work on all five BSF schools would be completed by 2009. In the meantime, Lewisham and Southwark had grown fed up of the delays and dissolved their “joint programme” with Greenwich, which had become a slow coach that threatened to derail their own plans. This was a wise move: the five BSF “Pathfinder” schools in Southwark and Lewisham were all rebuilt at least six years ago. The endless delays caused mounting frustration both at Roan and Thomas Tallis (which needed rebuilding even more desperately but which was also delayed by wrangles over floodplains, planning gain and land swaps), and frayed tempers all round. When Tallis governors and I voiced concerns we were told by a senior councillor that “we knew nothing about regeneration” and that we should be grateful that the council had “secured” a new playing field 20% smaller than originally planned. Preposterously, the council argued that it had ran out of time to secure more land – but time was one commodity which was never in short supply. Thomas Tallis’s head and chair of governors throughout the noughties – respectively Rob Thomas and Margery Nzerem – are unsung heroes and if they hadn’t pushed so hard I suspect Thomas Tallis’s rebuilding would still be ongoing today. In late 2009 construction work at Tallis finally began. But after months of wrangling, and no sign of any decommissioned gasholder, Roan’s governors voted to formally oppose the Peninsula move and published a feasibility study showing how the school could be successfully rebuilt on its existing sites. To its credit, the council at last performed a dramatic u-turn, announcing it would abandon the Peninsula and now try to rebuild John Roan on the same split site that had previously been cited as a pressing reason for relocation. 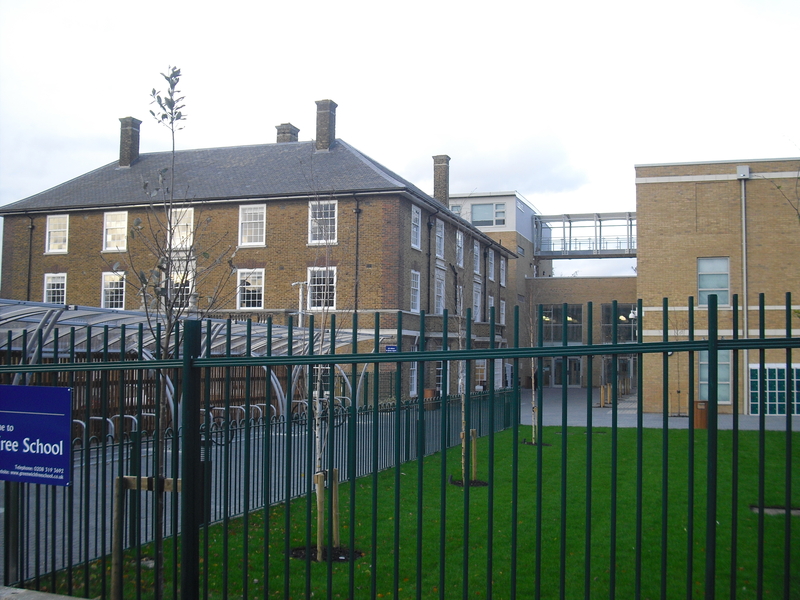 In January 2008 Roan’s Headteacher Carl Dent (who had long argued that the split site did not work and had carrying on backing a move to the Peninsula despite the growing misgivings of staff, governors and parents) had been replaced by the impressive Des Malone, previously deputy head of the improving Deptford Green, itself a split-site school. Gradually, it was becoming clear to everyone that the emperor had no clothes. Miraculously – and more by luck than design – John Roan somehow survived the cull of school rebuilding projects by the incoming Tory Education Secretary Michael Gove in 2010, though the budget was reduced from £40m to £29m. Planning applications for the refurbishment of the Maze Hill building and the complete rebuilding of the Westcombe Park Road building were approved in October 2011 and building work started in spring 2012. In this context the surprise is not how slowly John Roan has been rebuilt on its existing sites, but how quickly: the new Roan has been opened fifteen years after their rebuilding was first mooted, but only five years since it was decided to keep the school on its existing sites. Greenwich’s irrational approach to PFI – a costly, slow and bureaucratic procurement method at the best of times – had only made matters worse. With hindsight, it would have been much better to have rebuilt John Roan on its existing sites to begin with, rather than allow the Peninsula tail to wag the dog for so long. With hindsight it’s equally clear that Greenwich could not somehow devise its own model of PFI without causing years of delay. So it turned out: at both Roan and Tallis there were large groups of angry parents and teachers who had been promised new school buildings in 2005 or 2006, only for them to be completed up to nine years behind schedule, often after all their children had left the school. 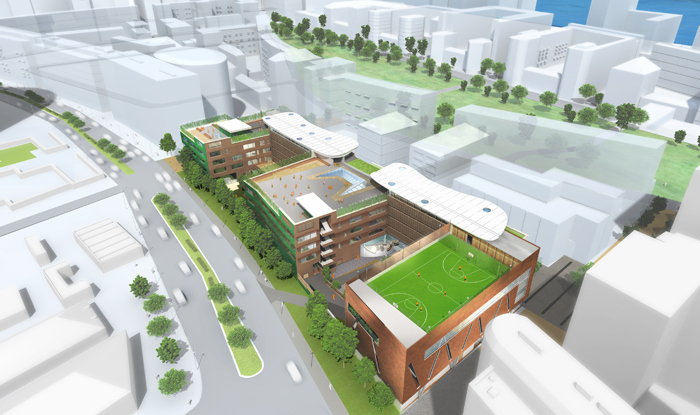 I must admit that I always thought that the school could have been successfully relocated to the Peninsula, as long as extra land could be secured (the original plan was to put all play facilities on the roof). Objectors to the Peninsula site exaggerated its problems, as objectors always do. A report in Building Magazine in 2009 contained a useful summary of the shambolic delays but was far too dismissive of the Peninsula site: across London, hundreds of schools are quite happily located next to major roads, gasholders and other potentially unfriendly neighbours (indeed, it would be hard to find any school in a city like London more than half a mile from a busy road). The site that John Roan would have moved to is still earmarked for education use and is now likely to become a new Church of England Secondary school, St Mary Magdalene, once the gasholder is finally decommissioned. And many still believe that split-site schools are intrinsically more difficult to teach and learn in: peripatetic staff have to waste much time walking from one site to the other. The council was right to change its mind about relocating John Roan to the Peninsula, and should have changed it sooner, but that does not mean that building a new school near a gasholder, or a motorway, is automatically wrong. But Roan’s eventual rebuilding and refurbishment on Maze Hill and Westcombe Park Road have turned the sites’ challenges into opportunities. Despite the project’s chequered history and a tight budget (the overall cost is less than £30m, well below the £48m spent Thomas Tallis and the £50m-plus spent at Crown Woods, rebuilt by Nicholas Hare Architects in 2011) Roan’s new buildings do not look or feel like second-best, fudge or compromise. The frustration, patience and anguish of governors, teachers, parents and politicians like me has been amply rewarded. At Westcombe Park Road McAslans had the courage to build a storey higher than the previous 1980s building, and the good design of its checkered brick replacement has largely overcome the concerns of well-heeled neighbours. Its main atrium – or “internal street” as it is known in BSF-speak – is impressive both in its scale and its detailing, with wooden steps, wooden handrails, generous roof lights and high-quality light fittings. The restoration of the Maze Hill building has only reinforced its superlative location across the road from Greenwich’s Royal Park: I only hope that money can be found to make the playground into less of a sea of tarmac. You can spot where money has been saved, and there are a few quibbles. At Westcombe Park Road the bathrooms’ untiled, rendered walls won’t hold up well to intensive use by hundreds of school students, and the walls of the gym are simple breeze block with a lick of paint. At Maze Hill the new internal doors are not high quality and large printer-copiers are marooned in corridors, suggesting there is insufficient space for such essential services elsewhere. The new courtyards have cheap paving and a plastic ‘floating pillow roof’ which lets in too little natural light. Teachers at Roan say there are the usual privacy problems apparent at most PFI schools (too much head-to-toe glazed walls), no proper staff room and over-provision of disabled toilets. 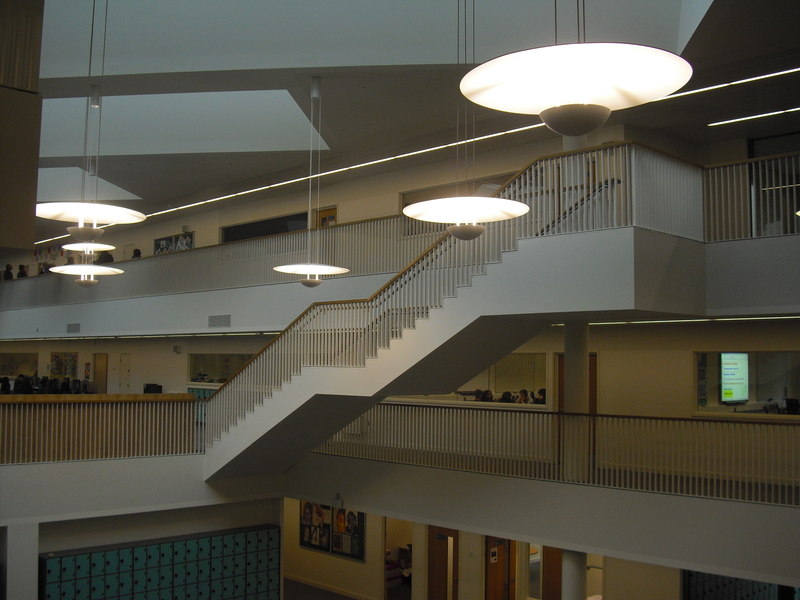 At Westcombe Park, the huge atrium doubles up as a library and assembly hall as well as a corridor, resulting in a lot of noise disturbance. But there’s no reason why these faults can’t be rectified once a bit more money is found: the important thing is that there has been no compromise on the things that can’t easily be changed – circulation space and external materials. In her speech at Roan’s opening last Monday Estelle Morris (who was Education Secretary in 2001-2002, when the Building Schools for the Future programme was in full swing) rightly said that what goes on inside school buildings is just as important as the buildings themselves. But she added – just as rightly – that good school buildings are not an optional extra: as well as being easier to teach and learn in, they send an important signal to young people – and their teachers – that they deserve the best and should try to achieve their best in return. Looking back, Roan’s lousy old Westcombe Park Road building, with its low ceilings narrow corridors and poky classrooms, was a symbol of low aspiration and limited horizons (in the mid-1980s John Roan was a mediocre school my Mum and Dad did not consider sending me to, even though we lived just half a mile away). Admittedly, the steep improvement in results at John Roan and other Greenwich Schools in the last decade began well before they were rebuilt. But it would have been difficult to sustain this improvement, and recruit and retain good staff, without the prospect of better buildings to look forward to. Just two miles from Roan you can see what results from such blinkered thinking. The Greenwich Free School has just erected a flimsy extension to a handsome 1930s mansion block for nurses, Adair House. The new extension, by Hunters South Architects, looks like a low-budget block of flats built by a slum landlord, not a school to inspire young people to aim high. The best that the building’s structural engineers Eckersley O’Callaghan can say for it is the apologetic “A tight budget and short programme are important drivers in the design”. Tellingly, the Free School’s website only features a CGI of the new building, much of it artfully hidden by fake trees, and no images of the real thing. More’s the pity that the Greenwich Free School is temporarily using a fine building next door, the 1909 Officers’ mess of the Royal Army Medical Corps, but could not afford to invest in an equally good new building In April 2014 Ofsted inspectors said the Greenwich Free School’s teaching “requires improvement”: the same could be said for its architecture. 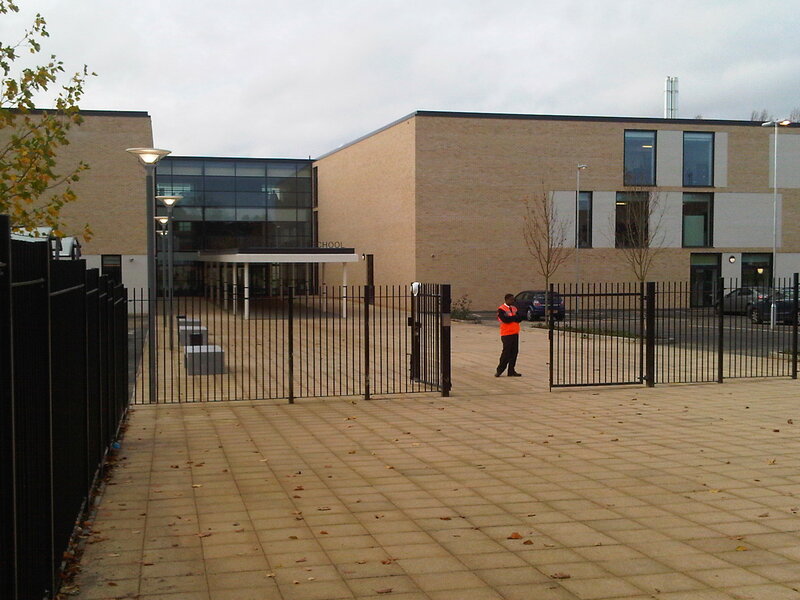 A little further away, one of the Lewisham Schools rebuilt under PFI in the early noughties – Crossways Academy – has turned out to be a failure, its cheap building remodelled and now a satellite of Christ the King Sixth-form college. let’s hope the longer time taken to rebuild schools in Greenwich make such failures less likely. I only hope that Greenwich primary schools about to be rebuilt through the coalition’s Priority School Building Programme – like Invicta, just down the road from John Roan – turn out better than the very limited budget on offer suggests. There’s no excuse for the nine-year delay in rebuilding John Roan but Labour can – at last – hold its head high. Free Schools are being thrown up with impressive speed, but their students and staff will repent the rushed penny-pinching at leisure. Good buildings like these are worth waiting for: the new John Roan School puts meagre Free Schools in the shade. This entry was posted in Uncategorized and tagged Architecture, Conservatives, Education, Greenwich, History, John Roan School, Planning, Politics. Bookmark the permalink.